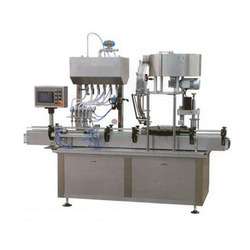 Pioneers in the industry, we offer single head jar washing filling capping machine, semi auto jar washing filling capping machine, semi automatic jar washing filling capping machine, automatic jar washing filling capping machine, 40 ltr jar washing filling capping machine and jar washing filling capping machine from India. Pure Water Washing Pump: 0.37 Kw. 2nos. 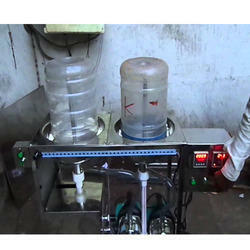 Pure Water Filling Pump: 0.55 Kw. 2nos. Cap Arrangement Electromotor: 0.06 Kw. Machine Dimension:LxBxH 3520x 980x1650 Mm. 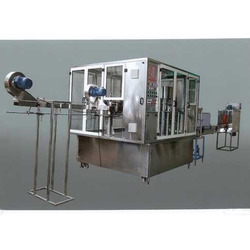 From the day of commencement, we are engaged in catering in fulfilling the diversified demands of the customers by bringing forth robustly designed Jar Washing Filling Capping Machine. 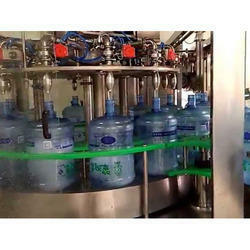 Manufactured in accordance with the global quality standards, the range is widely used in varied industrial sectors for cleaning & filling mineral water into the bottles. 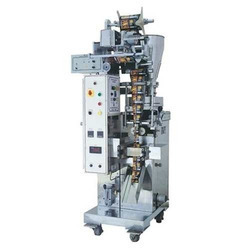 Owing to the dexterous professionals, we have been able to provide the customers with AutomaticJar Washing Filling Capping Machines. 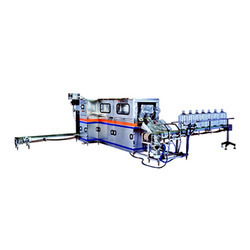 Manufactured using superior-grade components, the range is widely used in varied industrial sectors for filling & capping applications of water bottles.